The Pinocchio Principle is a roadmap to help you navigate the perils and possibilities of your personal odyssey. 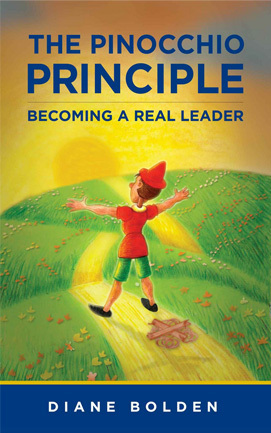 Using Pinocchio as a metaphor, it blends wisdom, inspiration and humor and includes numerous stories and examples of personal and professional transformation as well as practical tips and tools that will help you become a true leader to others – in the only way possible: by starting with yourself. A portion of the proceeds from The Pinocchio Principle goes to the Center for Humane Living, a remarkable organization whose vision is to inspire all people to live peaceful and compassionate lives while implementing a fully humanitarian agenda.